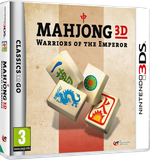 To see all our games released in the Nintendo eShop™, please click here. The player will experience the ownership of a pet. 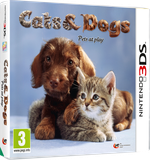 The game play focus is on caring, so creating a bond with the pet and keeping it in a good state, as well as on the competition mode. The player needs to make the pets happy, clean and agile and teach them tricks. Your very own foal: the mere thought is utterly thrilling for many horse lovers. My Foal 3D can make this dream come true! There are over 25 different breeds to choose from, from rare Tersk horses out of chilly Ukraine to fiery thoroughbreds. The new 3D technology enables super cute yearlings to appear right in front of the player. 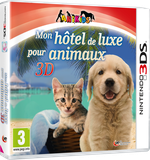 The player assumes the role of a novice owner of a hotel resort for pets. As a newcomer in this business, the player starts with a small resort as he tries to gain more experience and clients to expand the resort to a larger and more luxurious one.